On Social Security, it sometimes seems as though everything has been said dozens of times. Over the past two decades, there have been countless books, articles, and advisory panel reports, all purporting to explain the program’s operations and finances. Many of these argue for (and against) specific measures to keep the program solvent. 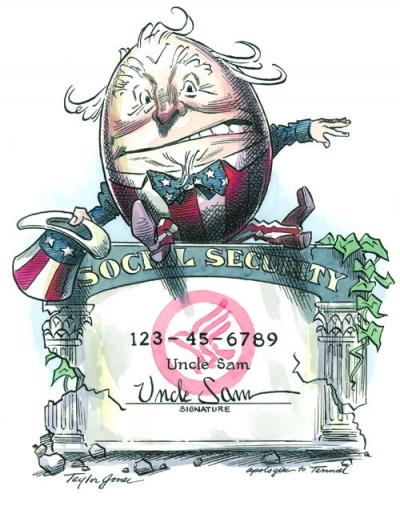 More than a few portray Social Security as being under threat from the designs of others with wrongheaded or malicious ideas. After more than fifteen years of work on Social Security policy, first in the U.S. Senate and later in the White House, I have reached the opposite conclusion: everything has not been said—far from it. I believe there is a dire need for another Social Security book, and in particular for a book fundamentally different from those published to date. My new book, Social Security: The Unfinished Work, is premised upon the conviction that our national Social Security debate is more polarized than it needs to be, even given the depth of legitimate differences over the program’s future. Our Social Security disagreements often devolve into shouting matches fueled by unexamined analytical differences. Unless we identify and understand our initial assumptions, we will not be able to fathom the conflicting policy initiatives that they drive. Many of these conflicting assumptions are in turn fostered by confusing program accounting that is a legacy of the 1983 Social Security reforms. Before 1983, there existed profound disagreements about Social Security policy choices but general agreement on the state of Social Security finances. Increasingly after 1983, there has been widespread disagreement on both. This has paralyzed our capacity to agree upon adjustments to Social Security policy and has perpetuated confusion that will fatally undercut legislative discussions until it is untangled. To understand where we are, we must understand what happened during the 1983 Social Security reforms and how it has led to sharply divergent views of program finances today. My book retraces this ground and reviews the policy value judgments—from how generous and expensive Social Security should be, to how redistributive it should be—that must be made. It also addresses the analytical and scorekeeping controversies of the Social Security debate. One person’s policy choice is incomprehensible to someone trying to solve a different problem and analyzing it in a different way. Until there is broader understanding of how these analytical differences drive opposing policy conclusions, we will continue to be like the workers in the tower of Babel, speaking ever more passionately and urgently but making ourselves less and less understood. Social Security disagreements end up as shouting matches, fueled by unexamined analytical differences. We must decide together what kind of system we want, and then determine how to make it a reality. Social Security is by no means the only area of mutual perplexity in our national political discussion. From health care to energy, different individuals’ prescriptions are shaped by different philosophical goals. Social Security is nevertheless distinct. For example, individuals with the same philosophical viewpoint will reach different policy conclusions if they happen to look at different numbers. Just as readily, individuals can be confused by the program’s complex accounting into taking positions whose substantive effects would run counter to their own philosophical inclinations. Without better understanding Social Security’s relevant recent history as well as a bit about its scorekeeping, we will be confused not only about others’ positions, but even about our own. Many now wrongly assume, for example, that the crafters of the 1983 legislation deliberately built up a significant trust fund to pre-fund a portion of the baby boomers’ Social Security benefits. Given the substantive consequences of the 1983 reforms, this misperception is understandable. The historical record is clear, however, that no such pre-funding has actually occurred and indeed there was no such intent. Today’s large trust fund was actually an unwitting byproduct of the 1983 reforms—and, equally, an unwitting destruction of the shared analytical clarity that had made those reforms possible. We share a responsibility to arrive at a common understanding of the facts and to act to secure Social Security’s future. To fulfill this responsibility, we all need to do much better, starting now. That statement warrants qualification: we needn’t necessarily do better if we are indifferent to Social Security’s financial stability, intergenerational fairness, or efficacy in serving societal goals. In that case, we can keep on doing just as we are doing: allowing these aspects of the program to deteriorate while we impugn one another’s motives and demonize the actions required to place Social Security on a stable and effective track. We must do more than listen to one another. We must be candid about the downsides of proposals we favor. We must, however, do better if we believe that Social Security’s financial stability is important and that it should serve future generations at least somewhat as well as it has served us. Even if we care about nothing beyond these principles, we need a loftier Social Security policy discussion. We need to listen to policy opponents without imputing malicious intent. When we cannot agree with their suggestions, we need to develop alternative means of addressing their concerns. Opponents of personal accounts, for example, need to fully hear why many proponents favor them. Opponents need to understand the motivating concerns (which include the declining program efficacy and intergenerational inequities of pay-as-you-go financing, among others) that have led so many to propose personal accounts, rather than to dismiss the concept as the centerpiece of a dastardly plot. Similarly, personal-account proponents need a clearer understanding of why so many strongly oppose personal accounts within Social Security. If mutual understanding still fails to lead to an acceptable design for personal accounts, then we must look for other ways to address these valid concerns. Virtually every aspect of the Social Security debate must be treated this way. If one side is disinclined to raise taxes, and the other disinclined to contain costs sufficiently to avoid a tax increase, a way must be found between these two extremes. Perhaps they can find a creative alternative to a tax increase, as many bipartisan proposals have done. Doing better means more than listening to one another. It also means being more candid about the downsides of proposals we favor. Opponents of raising taxes need to acknowledge that slower benefit growth is the necessary alternative to a tax increase. Opponents of benefit “cuts” must acknowledge that the alternative is much higher taxes for future workers. And both sides need to recognize the tradeoffs implicit in the status quo—it’s intellectually dishonest to pretend that a reformed system has only disadvantages relative to current law. The financing hole in Social Security has yet to be filled in. It’s pure sophistry to compare reform proposals to a false construct in which the system’s shortfall is never felt in either higher taxes or lower benefits. Neither Democrats nor Republicans should refuse to come to the bargaining table. Only those lacking the courage of their convictions need to insist on having their own way before discussions even commence. If there is a part of society whose conduct on Social Security has been most disappointing, it is probably the community of experts within think tanks and academia. Ideally, they would bend the least to external political or parochial pressures and be the least susceptible to a herd mentality. However, intellectual shortcuts, whether willful or accidental, are common and foster profound misimpressions. Too often, “experts” have fueled the ill-founded prejudices of their surrounding communities, bent to the predilections of their funding sources, and slanted their messages for political advantage. Perhaps more than any other group, the intellectual class has poorly served American citizens in the Social Security debate. There is no excuse, for example, for credentialed academics and think tank experts to continue to write that the projected Social Security problem is merely a figment of overly conservative projections. Nor is there any excuse for academics to issue what are effectively press releases for political campaigns under their academic letterheads. Perhaps more than any other group, the intellectual class has poorly served American citizens in the Social Security debate. More generally, we as a society must do better, and I believe we will. The question is when. We are living through some growing pains of the information age. The explosion of free information sources and the personal mobility of modern life have permitted us to increase our segregation along cultural and political lines. More than ever, we can choose to live and socialize with people who share our political predispositions. More than ever, we can engage in systemic selection bias, frequenting information sources that support our prejudices and implicitly filtering out information that contradicts them. Americans will grow to realize the intellectual perils of sealing themselves off from disagreements; reality will persistently shove itself forward to contradict our fondest wishes and beliefs. Each time it does, we will learn more lessons about the importance of attending to inconvenient truths. For the Social Security debate, the process cannot move quickly enough. Each year that we dither, the cost facing younger generations grows larger. We must do better—and soon. Our children and grandchildren are depending on us. Excerpted from Social Security: The Unfinished Work, by Charles Blahous (Hoover Institution Press, 2010). © 2010 The Board of Trustees of the Leland Stanford Junior University. All rights reserved. New from the Hoover Press is Social Security: The Unfinished Work, by Charles Blahous. To order, call 800.935.2882 or visit www.hooverpress.org.